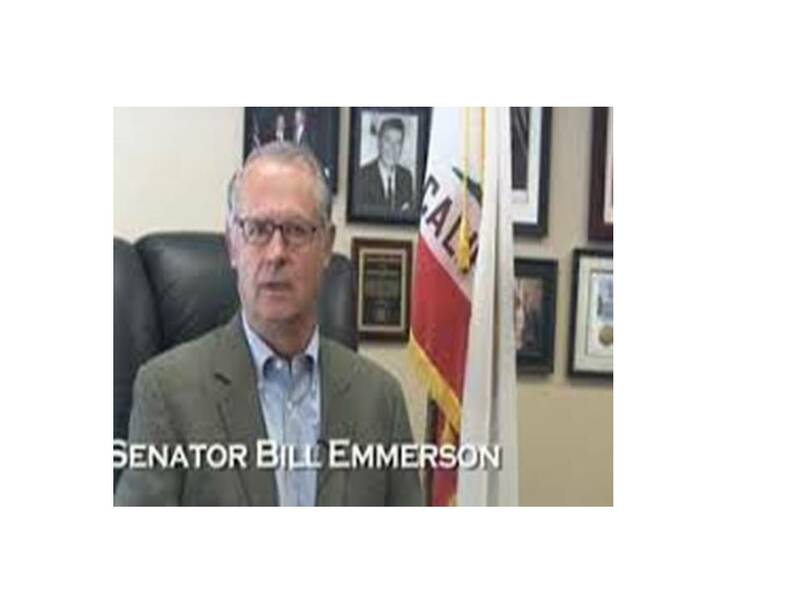 “Here’s a mini-bombshell that just dropped on Sacramento on a Friday afternoon (Nov 8, 2013):Redlands GOP state Sen. Bill Emmerson, 68,announced his resignation — surprising, well just about everybody. He wasn’t facing the term limit wall until 2016 and he easily won his race last November in the strongly GOP district that includes which parts of San Bernardino and Riverside and counties. This doesn’t look like a seat that could flip to Dems. The timing of state Sen. Bill Emmerson’s surprise announcement Nov. 8 that he will leave office before the end of his term in 2016 briefly raised suspicions in Sacramento. “In these past few months, my passion has waned and my constituents deserve a Senator with the level of commitment that I once had,” Explained Emmerson said in the statement. Among other issues, Senator had expressed frustration with the Legislative Process. Bill Emmerson was elected to California state Assembly in 2004. Then he was elected to state Senate in 2010.Senator Bill Emmerson is a trained Dentist. Emmerson practiced orthodontics in Hemet, California for 26 years. Senator Emmerson also served as Vice President of Senate Committee on Business, Professions and Economic Development. The Senate Committee on Business & Professions is mandated with the legislative oversight of the Medical Board of California. Today I submitted a letter of resignation to the President pro Tempore of the California State Senate effective December 1, 2013. My nine years of service have been some of the most fulfilling years of my life. It has been an honor to work alongside my colleagues in both the State Assembly and the State Senate –institutions that I hold in the highest regard. But it’s time for me to move on. I have always felt that one had to be passionate about their work. In these past few months, my passion has waned and my constituents deserve a Senator with the level of commitment that I once had. My health is perfect and I leave with the satisfaction that I worked hard and did my very best. Emmerson’s decision to leave the Senate caught colleagues and former colleagues by surprise. Republicans and Democrats alike praised him as a smart, insightful legislator whose departure is a loss to the state. “It’s going to leave a big hole in the caucus,” said Senate Republican Leader Bob Huff, R-Diamond Bar. “He was a steady hand in the sometimes tempestuous seas” of the state Legislature. Despite his unflaggingly calm exterior, Emmerson said he became increasingly frustrated with the system in the past several years. Emmerson already has said publicly that his frustrations with the legislative process prompted his unexpected decision to leave office midterm. As vice chairman of the Budget Committee, he found it frustrating that bills were presented to legislators before they were fully fleshed out, depriving them — and the public — of adequate time to review them before a vote. “It’s a big frustration that we act without seeing the language of the bill,” Emerson said, calling it a disservice to legislators and to the public. We wish well to Dr. Emmerson for his future endeavors. Special election announced to fill the vacancy. Primary Elections on Mar 25th.